The Government Ophthalmic hospital (GOH) at Thiruvananthapuram was established in the year 1905 with Dr. Joseph as the first Superintendent. The mantle was taken over by the Royalty with Dr. L.A. Ravi Varma as the Superintendent. Many generations of Ophthalmologists and patients have walked through the corridors of the GOH. When the Government Medical College was started in Thiruvananthapuram in 1951, this institution was converted into its Ophthalmology department. Most of the senior Ophthalmologists in Kerala are alumni of this institution. It is located ideally in the heart of Thiruvananthapuram city and is well connected by rail, road & air. 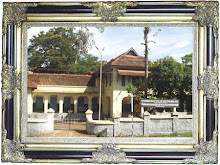 In 1995, the hospital was upgraded to the Regional Institute of Ophthalmology in Kerala. It caters to patients from all the districts of Kerala and South Tamil Nadu.The Regional Institute of Ophthalmology Thiruvananthapuram is the largest Government eye hospital in Kerala. More than 1,50,000 patients availed treatment in this 250 bedded hospital last year.